It's hard not to feel so when you're facing such luxury in life it makes you question about yourself whether you deserve it or not. 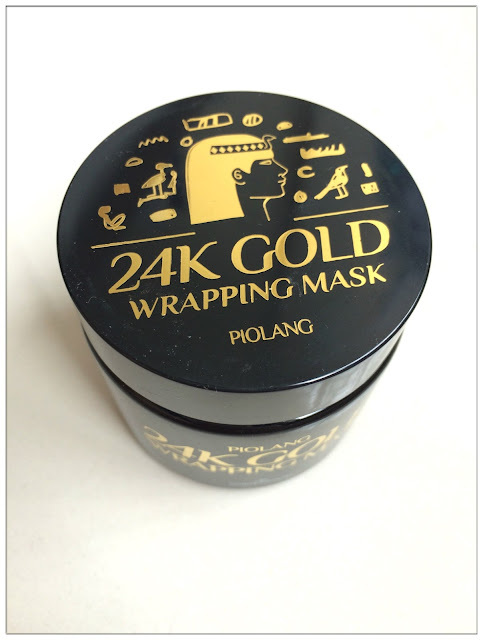 I'm not talking about anything else but about one of Korea's beauty big hit 24K Gold Wrapping Mask - Piolang. There was rumour that Cleopatra have her face covered in pure gold mask every night in order to maintain her looks be forever youthful because back then, she already knew that this precious mineral contains anti-aging properties which can boost skin's elasticity and also slow down skin's aging process. Piolang's 24K Gold Wrapping Mask does resemble the gold mask Cleopatra used in ancient times, hence the logo was Egyptian-themed. 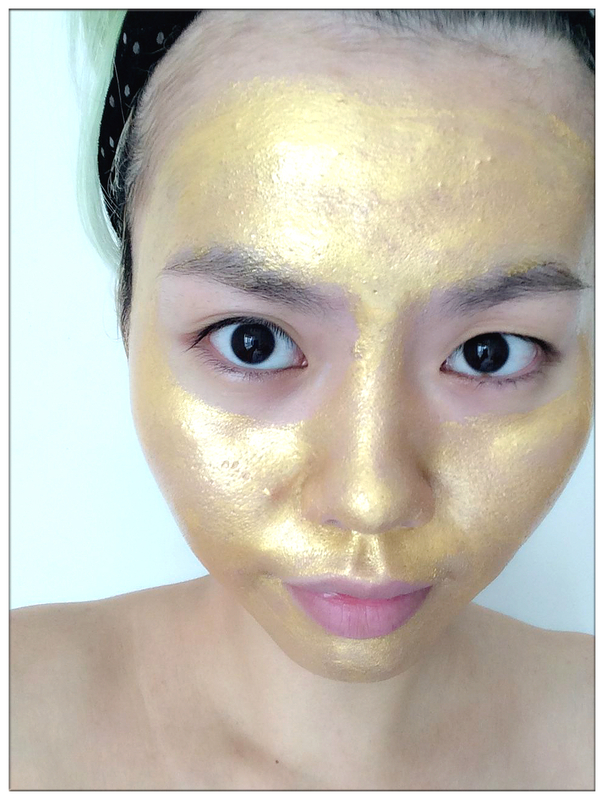 This Gold Wrapping Mask that contains 500 ppm of gold, is 99% pure gold content, and gold ion is similar as body's light voltage, upon touches skin, it can activate skin's function and revitalise skin's layer. 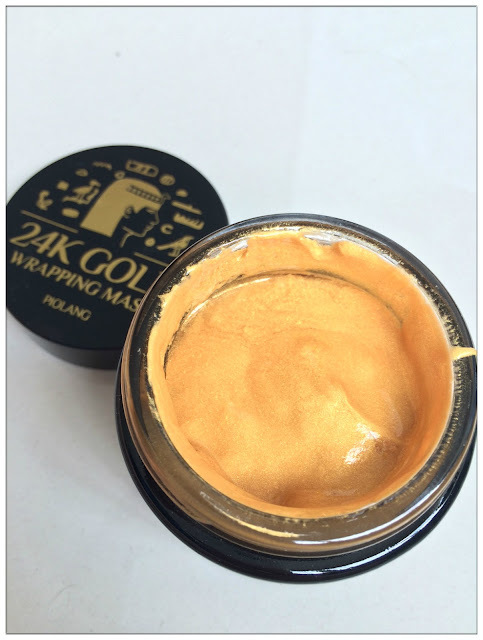 The package comes with a spatula for you to scoop out the gold mask and apply it on your face without contaminate the rest of the mask in the jar. Although it may feel heavy and thick when you scoop it out but when you layer the gold mask on face, the soothing and refreshing feeling covers your skin you just wanna lay back, relax and wait for the mask to dry. 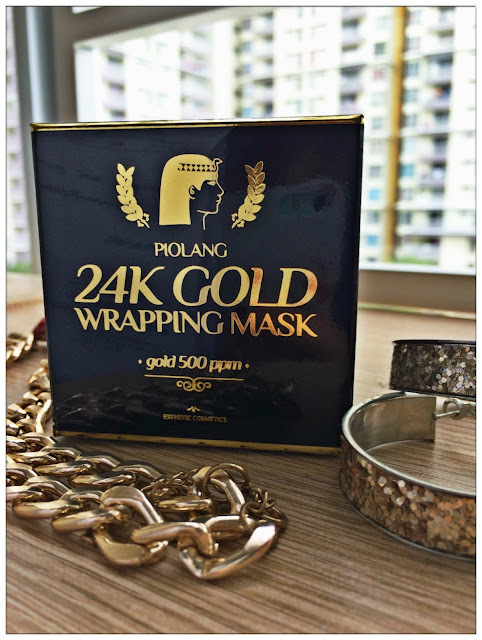 I don't know how Cleopatra felt about her gold mask but for me, Piolang's 24K Gold Wrapping Mask gold leaf covered my skin and removed all the dead/bad skin cells immediately I can feel my skin is moisturized, radiance, revitalised and energized! 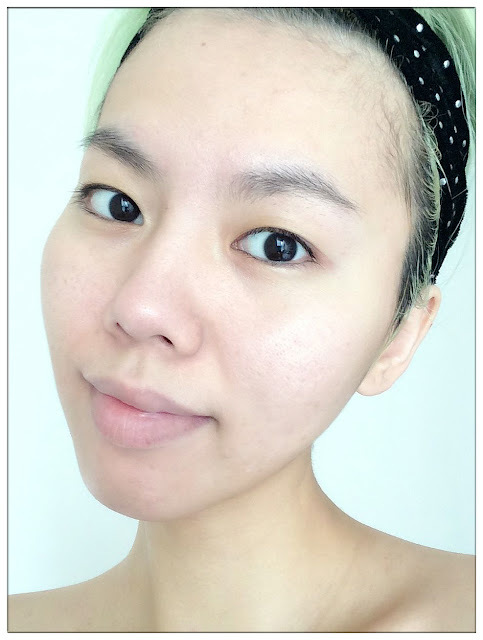 Because the dead skin cells were removed during the peeling process of the mask, I can see a slight differentiate of fairer skin tone of my skin as well! Whenever I felt my skin needed a boost, I will apply Piolang's 24K Gold Wrapping Mask on my face to look radiant and healthy again. It works like magic everytime! No wonder Cleopatra did it every night! Now we can feel like a rich b*tch with Piolang everyday! Thanks to Althea Korea for this amazing jar of luxurious gold goodness and with Althea's DAEBAK price it is only selling at RM69! How Does My Hair Color Last This Long?